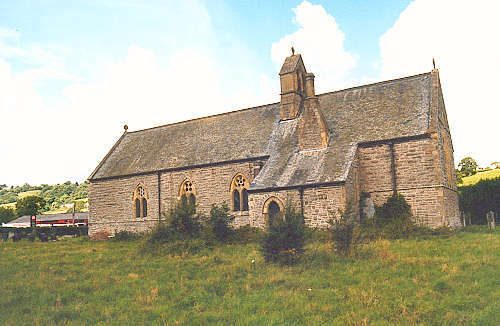 The new parish was created on 1 November 1864, from the townships of Llawr y Betws (in the parish of Llanfor), Nantffreiar (in the parish of Llandderfel), and Persaethydd (in the parish of Gwyddelwern). The foundation stone of the new church was laid on Tuesday, 27 August 1861, and it was consecrated on Tuesday, 22 March 1864; the dedication being to St. James the Greater. For family history information about the church and parish, visit the GenUKI Llanfor page.